Episode #52 Timecapsule: The subzone of Whispering Forest, in the Tirisfal Glades zone, holds a mysterious destination and in-game event. 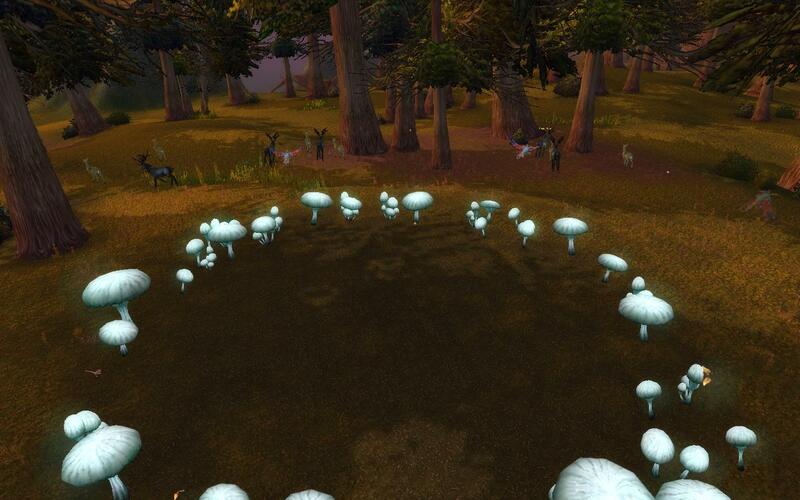 A strange ring of glowing mushrooms can be found on the forest floor at coordinates @(17,68). At this location, seven Fey-Drunk Darters (Faerie Dragons) occasionally appear outside the ring of mushrooms. Patient explorers are given a special surprise event by the Faerie Dragons if they watch long enough. Approximately every 6 hours, the Fey Darter Dragons face into the center of the mushroom ring and begin projecting a magical golden light of magic (or song) into the center. 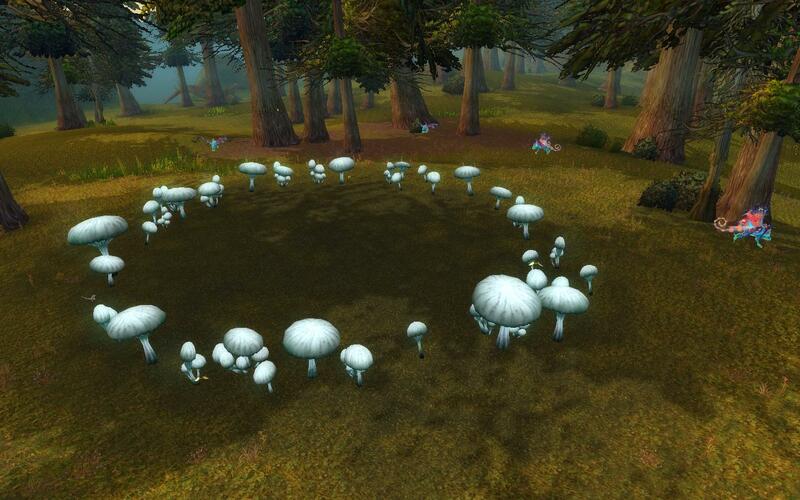 In the center of the mushroom ring, an NPC appears called the Faerie Circle. The in-game music changes to a unique song that is heard nowhere else in Azeroth. As the music plays, golden musical ‘notes’ appear over the heads of each of the Faerie Dragons… almost as if the Faerie Dragons were singing the song. The special Faerie event here ends in 3 minutes time – the Faerie Circle disappears, the Fey-Drunk Darters vanish, and the music fades away. At the time of this recording, there is no known reason or in-game lore tie to explain this amazing event. – Faerie Circle music event occurs approximately every 5-6 hours. 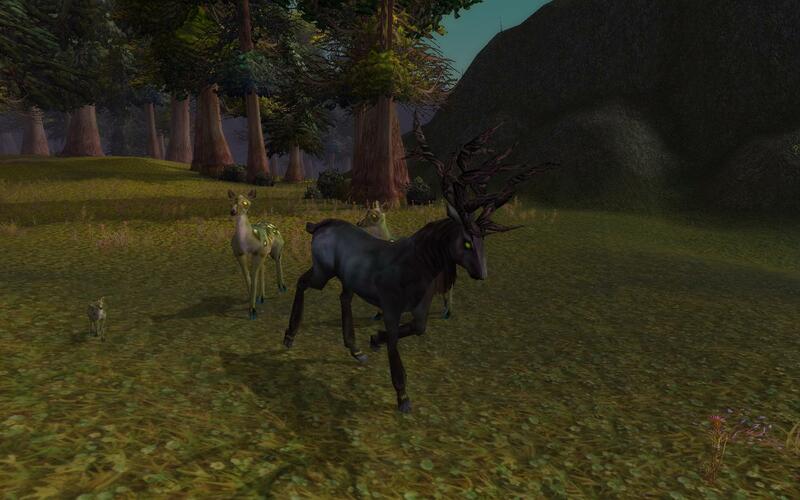 – Tirisfal Stag/Doe/Fawn spawn & despawn continuously, yet all disappear for 15 minutes after the event completes. 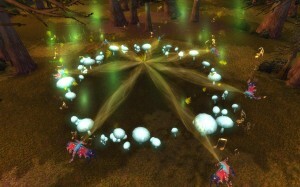 – The Faerie Circle can be targeted at all times (even though invisible) by using the command /target Faerie Circle. 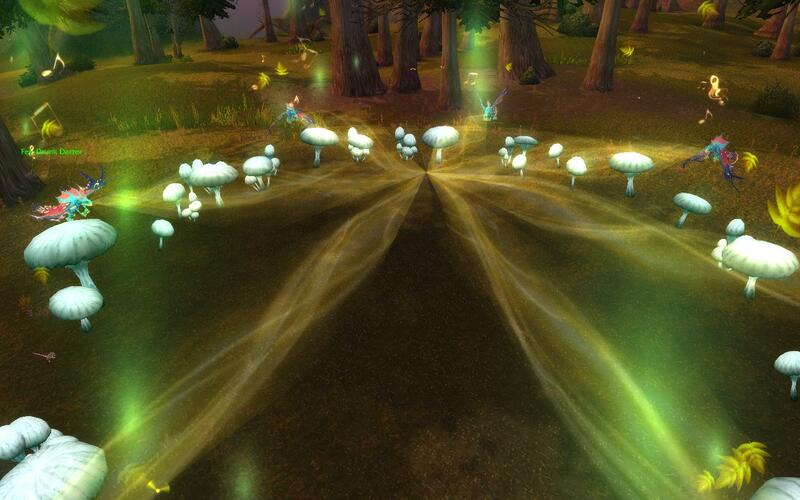 Faerie Circle only is ‘visible’ during the event. 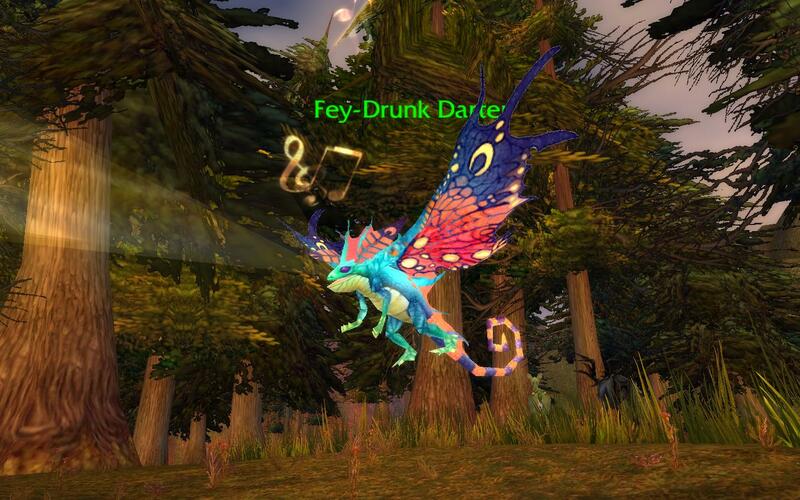 – Approximately 2 hours before the event, the Fey-Drunk Darters spawn one at a time every 2 to 15 minutes. After the first Darter appears, all seven appear within 40 minutes.